According to Miranda Kerr, at least. Ladies, it’s time to master the art of dry brushing. Get yourself a natural-haired body brush—a synthetic one might be too abrasive—and begin your morning routine by giving yourself a good scrub. Start scrubbing your feet and work your way upwards, towards your heart. Once you’re done, turn on the shower and proceed with your other bathroom rituals. Don’t forget to be more careful around sensitive areas like your inner thighs, crotch area, and breasts. Because Miranda Kerr does it. Just kidding. 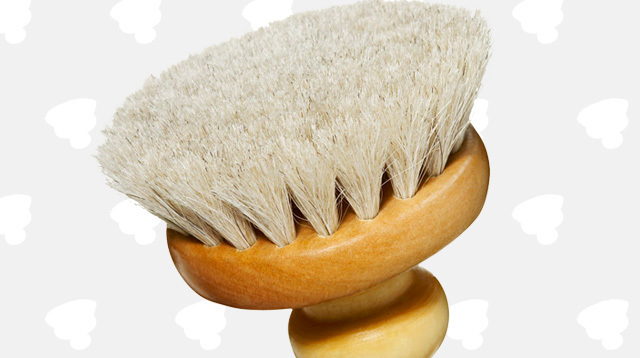 Some of the benefits of dry brushing include: exfoliation, unclogged pores, reduced cellulite, and a stimulated lymphatic system to flush out toxins better. And because you will get rid of dead skin, lotions and other moisturizing products and treatments will adhere to your skin better. So where do I get a dry brush? You can easily grab yourself a dry brush in any drugstore—like Watsons—or in beauty specialty stores like The Body Shop and Beauty Bar.